You are currently browsing the tag archive for the ‘living authentically’ tag. I think about these words of wisdom taken from a Lululemon advertisement often. As a yoga teacher for kids, I see how young children approach new ideas and challenges. They tend to go for it without thinking of being judged or making mistakes or the need to think things through. You show kids an inversion and they are flying in the air without a doubt to hold them back. As we get older the fear of what people think begins to take hold. Usually this begins around 5th grade and accelerates through middle school. We place self-judgment before action and it stifles growth and living authentically. Growth occurs in times of discomfort. Allow yourself to stretch into that discomfort and see how you can begin to set yourself free. Learn something new. Be vulnerable in relationships. Tap into your creativity. Push yourself physically. There are many ways that you can spread your wings and take flight in your own life. When we take a step into risk, whether we succeed or fail, we learn more about who we really are. 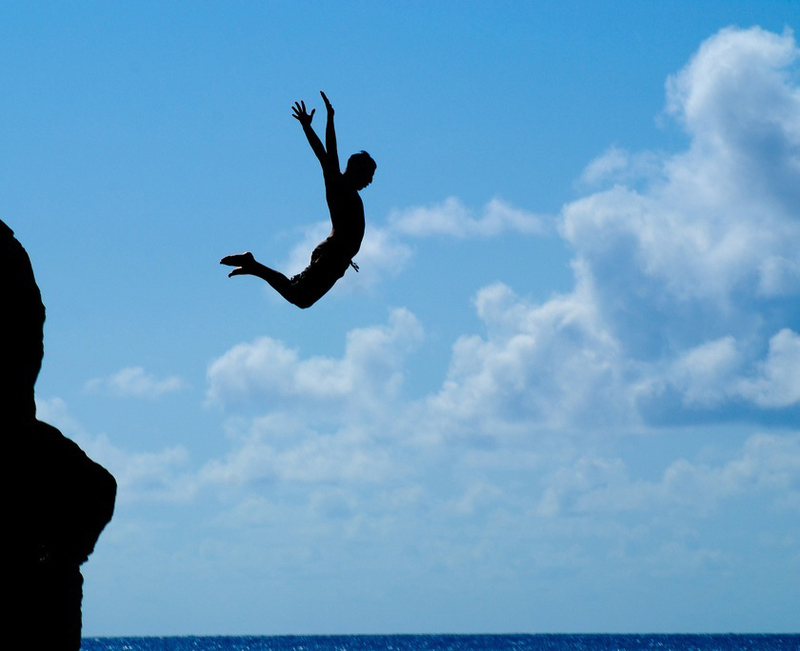 Jump into risk and find your true self. Take a risk and live life big.